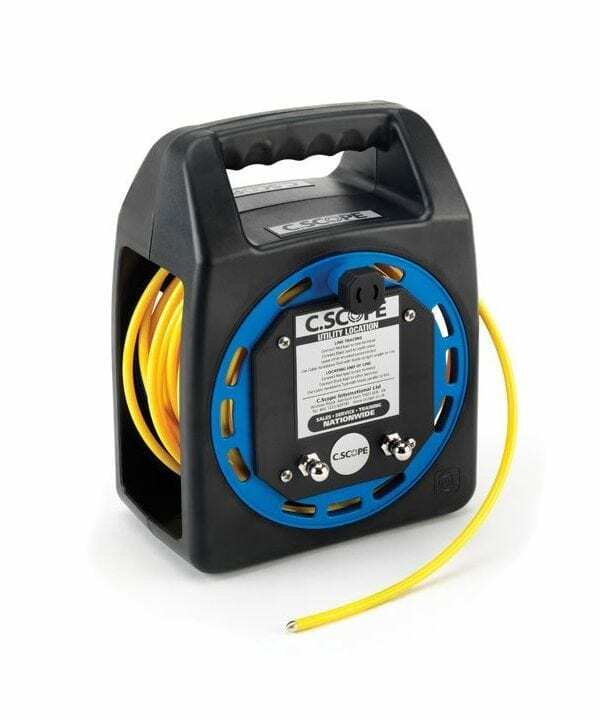 The unique C.Scope Plastic Pipe Tracers are designed specifically to allow SMALL diameter, non-metallic pipes to be traced. C.Scope Plastic Pipe Tracers are the smallest diameter product on the market and can be successfully inserted into pipes when nothing else fits. Their unique construction gives unparalleled reliability and yet allows both line tracing AND the all important end tracing using the remarkable Sonde technology housed at the very tip of the Tracers. 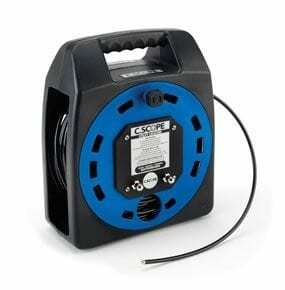 Utilities and utility contractors have, for years, used Sondes to follow non-metallic main service pipes underground and to record their route or locate the position of blockages within those pipes. However, with pipes less than 2”or 50mm in diameter, standard sized Sondes are simply too large to fit into the pipe or to negotiate the tighter bends often found on these pipes runs. Developed as a result of requests from the British gas industry, in need of a solution to the problem of tracing their small diameter non-metallic pipes, C.Scope designed the world’s smallest Sonde that is actually moulded into the tip of 6mm diameter plastic pipe tubing. Its uniform diameter allows easy use with any proprietary ‘live insertion’ gland and the flexibility of the plastic tubing and the Sonde itself make it ideally suited to successfully negotiating the tightest swept bends or even 90 degree elbows often encountered on the smaller pipes. Stored on a compact reel, weighing less than 2kg, the C.Scope 20 metre and 50 metre Plastic Pipe Tracers are the ideal solution for small diameter non-metallic pipe tracing and can be used with any Pipe and Cable Locator and Signal Generator operating at 33kHz. Both the line of the pipe and the end point can be quickly and accurately identified at depths up to 4 metres. Comes in 20 metre or 50 metre lengths. Extremely small diameter can be used in pipes down to 10mm. Highly robust, resistant to kinking. Available in 20metre and 50metre lengths. Full length or tip only detection capability. Uniform diameter to allow easy use with any proprietary insertion gland.